The men’s basketball team hosted the Men Against Breast Cancer Oakland Hoops Challenge on their home court over the span of a week. In this tournament, they faced off against Defiance College, Oral Roberts University, James Madison University and Northern Illinois University, respectively. The Golden Grizzlies took the first three games of the challenge and lost the last game against the Northern Illinois Huskies, 92-72. In a 44 point victory over Defiance, Xavier Hill-Mais led the way scoring 30 points and not missing any of his 12 shots. Jaevin Cumberland and Jordan Nobles each chipped in 16 points as the Yellow Jackets were unable to catch up. After a four day break, Oakland took on James Madison in a game that saw long-time Head Coach Greg Kampe with pink hair in support of breast cancer awareness. Just like Kampe’s hair, the team did not disappoint, winning 77-69. 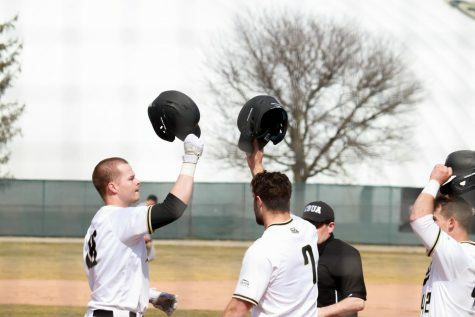 The next day, the Golden Grizzlies hosted a former Summit League rival Oral Roberts on Saturday, Nov. 24. In a high-scoring game, Oakland won 87-76. Cumberland recorded a game-high 31 points and Hill-Mais recorded 28 points of his own. After last week’s slate of games, Hill-Mais is now tied for 10th in the NCAA in scoring, averaging 25 points per game. The next game for the men’s basketball team is on Saturday, Dec. 1 at 12 p.m. as they take on the Xavier University Musketeers in Cincinnati, Ohio. The women’s basketball team had three games over the past two weeks, two on the road and one at home. 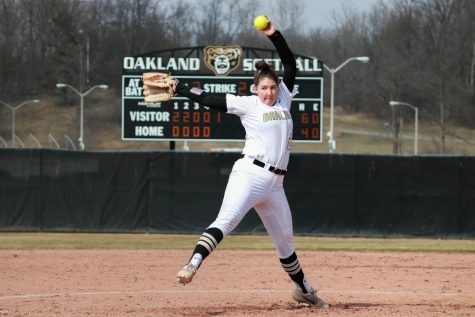 On Saturday, Nov. 17 and Sunday, Nov. 18 the Golden Grizzlies headed to Ohio to compete in the Kent State Classic tournament at Kent State University. On Nov. 17, Oakland took on the University of Akron, but ended up losing by 20 points, 85-65. LaKyesha Stennis led the team in scoring with 16 points, with Teneea Heston not far behind with 14 points. Mercy Agwaniru led the team in rebounds with eight, and Brianna Breedy led the team in assists with three. 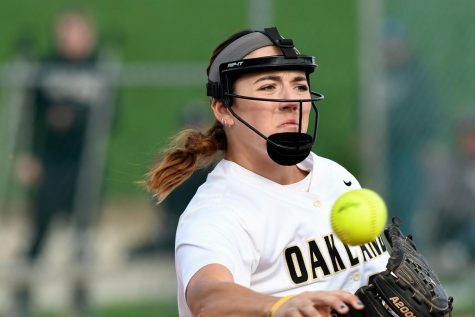 The next day, Oakland took on Kent State University, and fell 75-65. Taylor Jones led the way for the Golden Grizzlies, scoring 23 points and pulling down 11 rebounds, she added five assists as well. Stennis was able to continue shooting like she did against Akron, scoring 15 points. After a week long break, the women returned to the O’Rena to face Canisius College. Oakland ran away with the game from the start, as they won 71-60. The Golden Grizzlies held the lead for 36 of the 40 minutes of game time. Nikita Telesford led the team in points at home, as she scored 17. Jones also added 16 points and secured 13 rebounds, a team high. The team as a whole outrebounded Canisius 41-32. The women travel to Illinois State University on Thursday, Nov. 29 at 7 p.m. to take on the Redbirds.